Dry hair is a constant problem in my life—I color and heat-style my fine, curly hair more often than I should. I've noticed a hefty set of damage recently, though, and I decided to take action. First, my hair broke off. Then, I worked with a few talented experts to remedy the breakage. Now, my hair is much healthier than it was, but I'm still looking for tricks and tips on how to keep it that way (as well as continue to strengthen the strands each day). I tapped a few more hair gurus (celebrity colorists and hairstylists I trust with the life of my mane), and I gave them each a deadline: to fix my dry hair in a week or less. Luckily, they each came through in spades. Keep reading for all the helpful (and fast-acting) knowledge you need to restore, hydrate, and keep your hair healthy. "First things first, you should 100% embrace thermal protectors that both protect and nourish the hair. 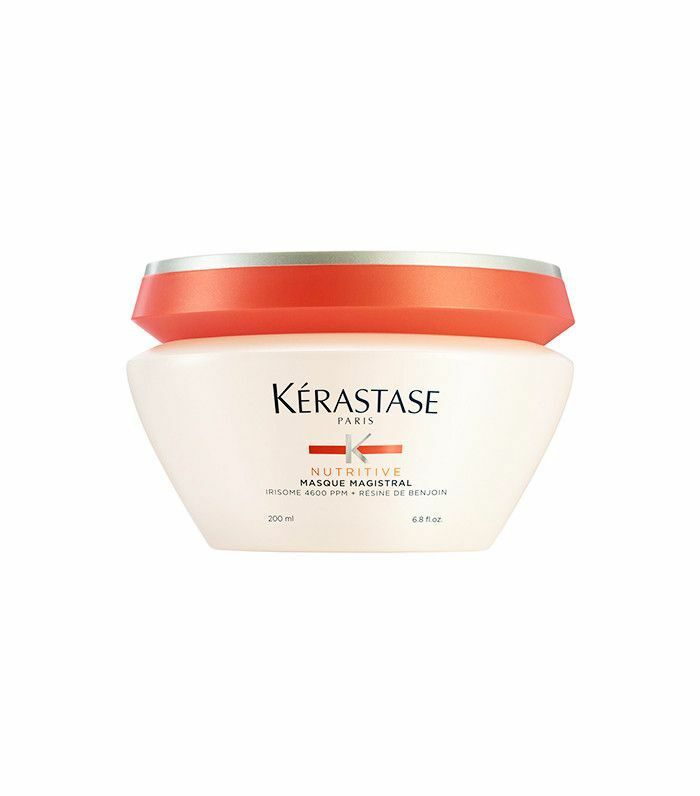 Depending on your individual hair needs, there is a Kérastase Thermique for you," says Matt Fugate, Kérastase's consulting hairstylist. "All three products in the collection are in my kit at all times. 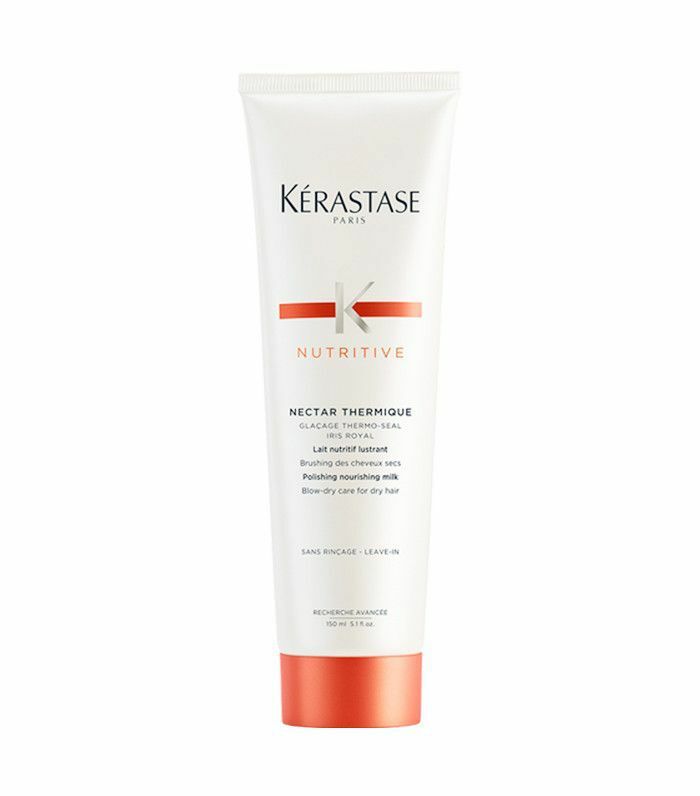 There is Ciment Thermique ($21) for dry and damaged hair that needs to be rebuilt, Nectar ($21) for dry and dull strands that are brittle or lifeless, and Keratine ($43) for dry and frizzy hair." Kari Hill, L'Oréal Paris's celebrity colorist, discusses how keeping your color from fading will actually aid in maintaining moisture in your hair: "If you are a one-process (everything other than blond), use products like Advanced Haircare Color Vibrancy Shampoo and Conditioner ($5). Dry hair is often more porous, so it can fade faster. 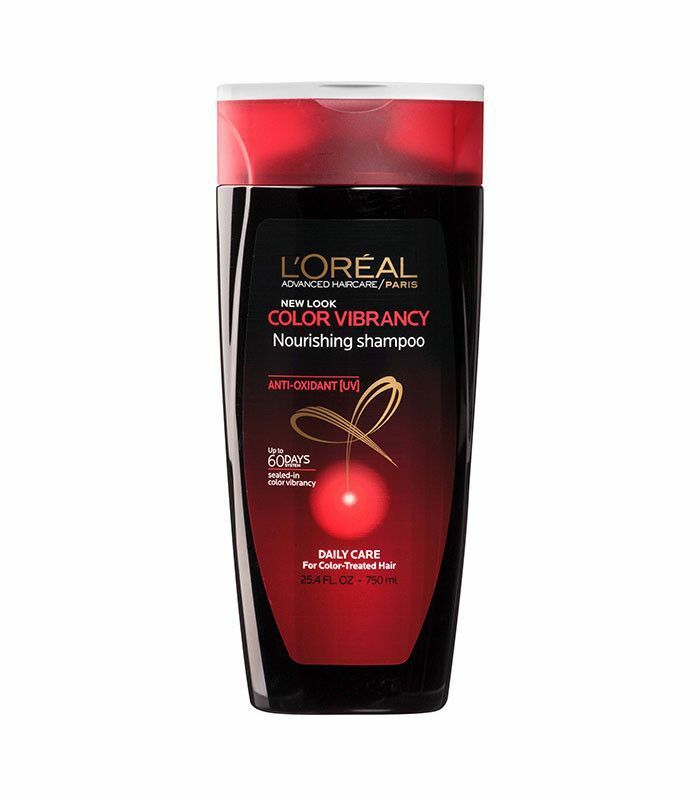 Using this shampoo and conditioner helps protect the color and reduce fade time. Just be careful not to over condition with single-process color. However, if you are blond, add a deep conditioner to your routine post-color. I love weekly treatments like the EverPure Blonde Shade Reviving Treatment ($9) to restore nutrition to dry, blonde hair." Another great trick? Deep condition before getting your color done. Hill explains, "This deeper, more intensive conditioning is ironically done before because it helps the color take a little better and is less damaging on the hair." "In terms of product, make sure you're investing in your canvas (Aka: your hair)," Fugate says. "Get a great moisturizing mask like Nutritive Masque Magistral ($21) to help hydrate and battle the elements." The fastest way to rid yourself of dry, dead ends is to cut them off. Fugate recommends, "You should get your hair 'dusted' on a regular basis, especially for dry hair. I do this by letting wet hair air dry for five to ten minutes before I start cutting. By letting the hair air dry, the hair will talk to me and the fragile ends will make themselves apparent. This way, you and your stylist can distinguish which strands stay and which ones go." Mara Roszak, L'Oréal Paris's celebrity hairstylist agrees, "If your hair is feeling limp, it could be time for a trim. A little bit goes a long way. A few layers can make all the difference in the world—they'll add volume and movement in a new way." "I love to recommend overnight treatments to help give dry hair more moisture and life in just a few hours," explains Roszak. 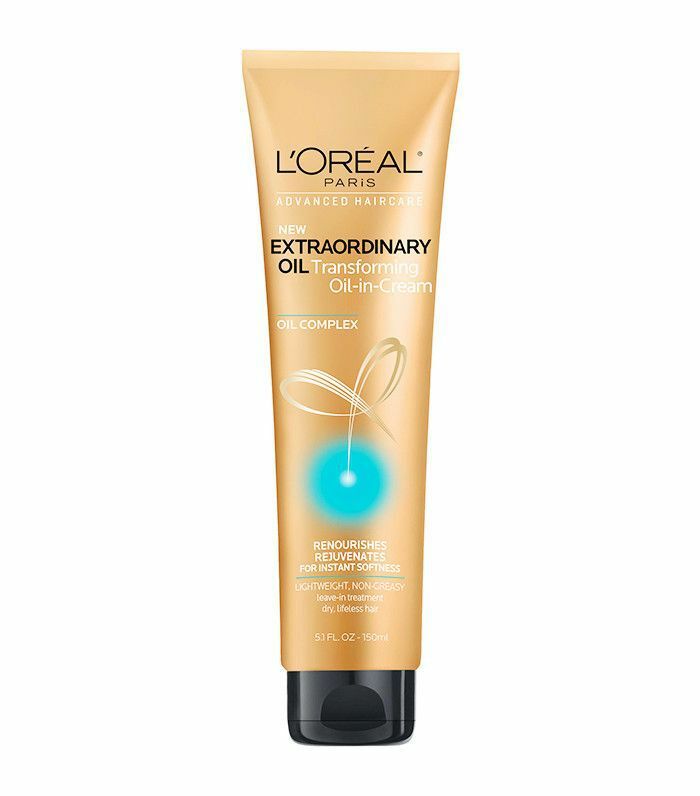 "L'Oréal Paris Advanced Haircare Extraordinary Oil Nourish Transforming Oil-in-Cream ($6) is not only a great daily leave-in, but I also like to use it as an overnight treatment. Just apply all over, put your hair in a bun, and go to sleep. Rinse it out in the a.m. for truly hydrated hair." "To help add some shine to lifeless hair, at the end of your shower, do a cool water rinse," suggests Roszak. "This seals the cuticle (so your hair doesn't look as dry) and adds shine. Adding a plain white vinegar rinse into the mix also adds shine if you don't mind the smell." Next up, how to air-dry thick hair so it doesn't look frizzy: a nine-step guide.